Last night at about 9.30pm I looked at the clouds and just a few meters below it I saw a bright light. At first I thought it was a plane but then after starring at it for about 5 min I took a picture and saw that it was in a Square Shape and very bright, After 6 or 7 min the Light started to Move away very slowly and looking back at the Pic I now know it was some kind of Object. 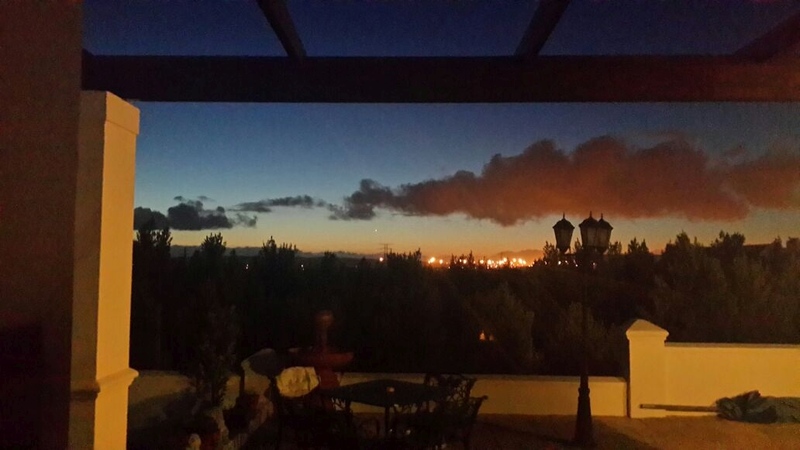 Attach is the photo that was taken in Croydon in Somerset West from my window. You will see the black clouds and just below the Light. When enlarged on my cell phone you will see that shape.